Most of you are already familiarized with the ongoing debate on the matter of gun control, since this is a subject that has become more and more prominent over the past years. Basically, every time there’s an unfortunate attack involving the use of firearms, especially an attack carried out just for the sake of hurting other people, gun control activists speak out against guns being available to virtually everyone. While they certainly have a point and the fact that people with obvious mental problems had access to those guns made it easier for them to perpetrate those attacks, the gun control opposing groups also have a point in saying that gun ownership is a basic American right. The answer to this problem, according to the groups which oppose gun control, is to make it harder for unstable people to obtain firearms, or to make it harder to use them against unsuspecting victims, but not to regulate gun access altogether. For example, under the guise of the private-party transaction, it was very easy for individuals otherwise prohibited from owning firearms to obtain a gun from a dealer without any record of the transaction that took place. This policy loophole in the universal handgun background checks was allegedly the source of most weapons used in assaults. Since 2013 though, a number of states had passed the law for mandatory background checks and more are expected to follow. But the gun control debate is as hot as ever, especially with new shooting attacks springing up in the news and outraging everybody. Here is an overview of the ongoing debate and the most visible public speakers within it. The first time a background check was required for individuals who wanted to buy weapons was in 1938, when President Roosevelt issued the National Firearms Act. Three decades later, in 1968, spurred by the assassination of JFK, the law tightened further for all would-be gun owners. 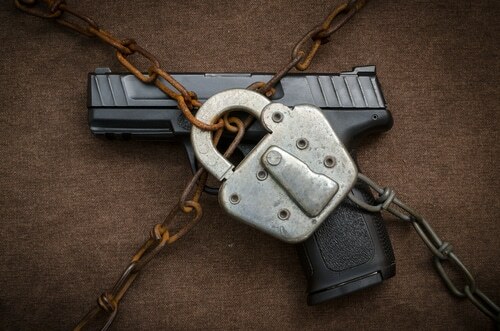 It prohibited all convicted felons, drug users or individuals struggling with mental problems from acquiring a fire arm and it also rose the minimum legal age for gun ownership to 21 years. It also tightened the deal for gun shop owners as well, making them keep better records of all transactions and reducing the eligibility of business owners that can apply for gun trading licensing. In many ways, this 1968 act was the modern foundation for contemporary gun control. Subsequent legal actions and debates, to this day, revolve more and more around the tension of two opposing groups. On one hand, we have the gun control advocates, that try to reduce gun access and make gun dealers accountable for the acts of violence in which their merchandise is used, and on the other hand, we have the gun rights lobbyists, that promote smarter gun regulations to control violent acts, and not a general narrowing of access to fire arms. As recently as 2012, reports hinted that the number of gun purchases being rejected for federal denials was nearly one million. The debate around gun control is a pretty hot one, filled with suspicions and accusations being implied about both parts involved. The gun control activists are accused of being too conservative or even having a concealed interest in the lowering of citizens’ security (the next step would be of accusing them to be on a terrorist organization’s payroll), while the people advocating against gun control are often accused of only seeking a corporation’s best interest at the expense of the lives regularly lost to fire arms. Michael Bloomberg is perhaps the best known advocate for gun control, along with Sen. Diane Feinstein, Carolyn McCarthy and many others. In the opposing faction advocating for gun rights, the most prominent voices are Gary Johnson, who was a nominee in the run for President in 2012, as well as others like Mike Ross or Larry Pratt. Rumors are that President Obama is a supporter of the universal approach of the gun control factions, and the debate is surely about to get more heated as more shooting attacks outrage the public opinion. Hey Buddy!, I found this information for you: "Gun Control: The Debate about What Safety Really Means". Here is the website link: https://thegunrights.com/gun-control-debate-safety-really-means/. Thank you.